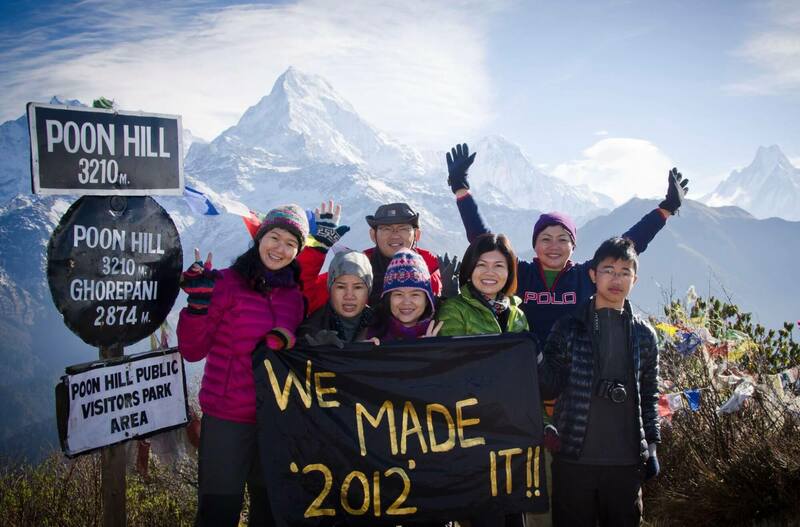 Annapurna circuit trekking is one of the most popular trekking destinations in the world. 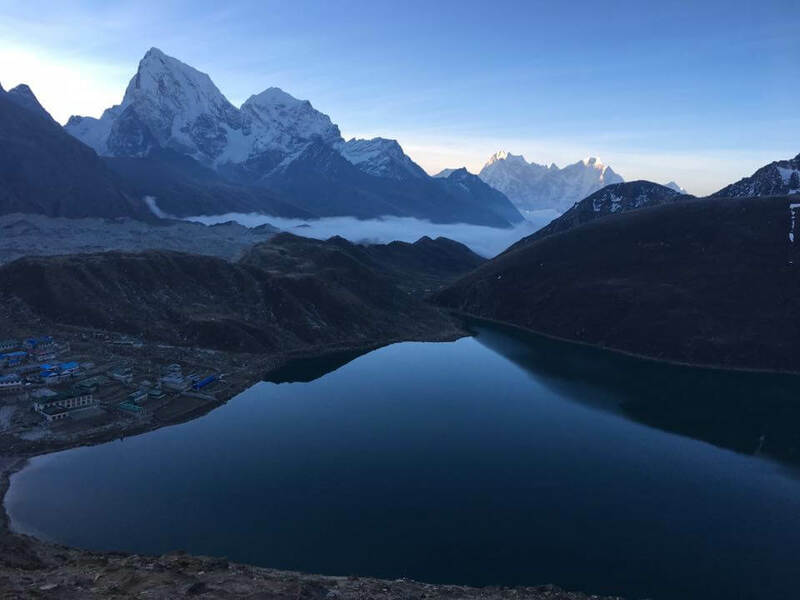 One of the classic treks in Nepal, this popular route takes you all the way from subtropical jungle to high-altitude plateau, culminating in Thorung La at 5418m. 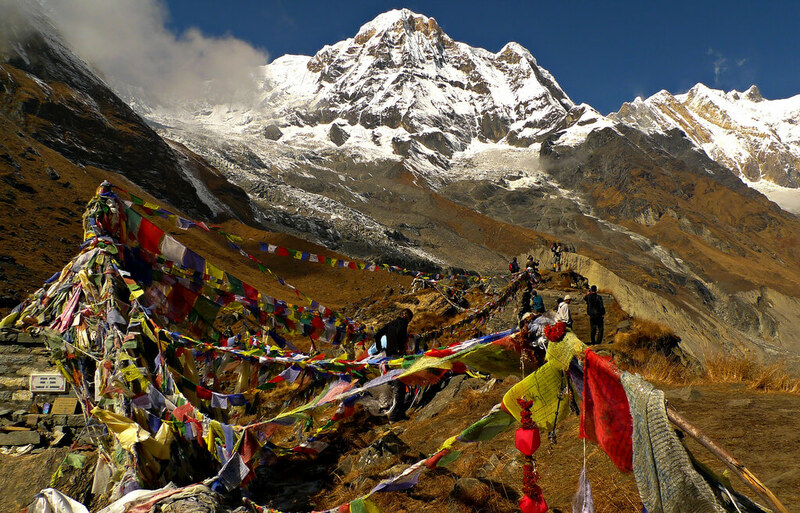 The Annapurna Circuit Trek is the top-tier trek in Nepal. 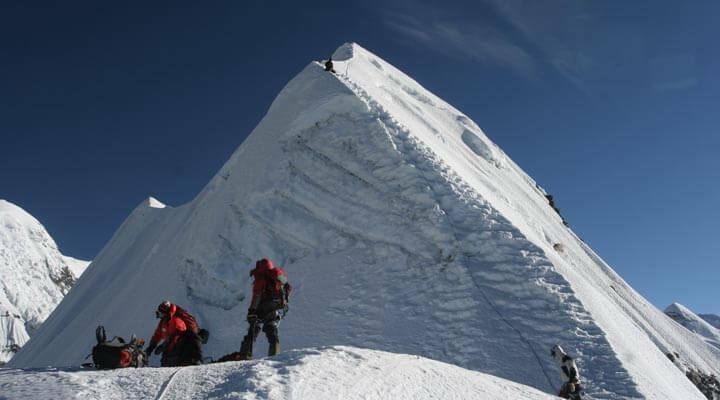 During this trek, trekkers will get an opportunity to closely view the snow-cape of Annapurna range. 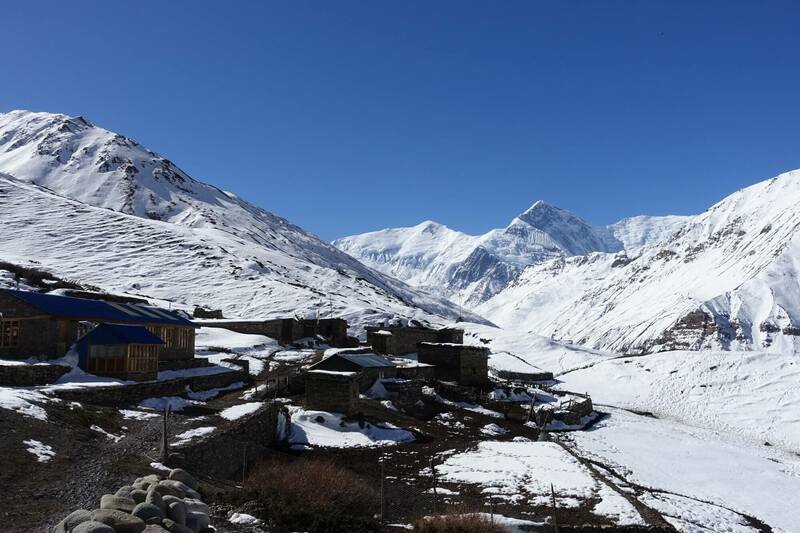 Muktinath, Tatopani, Ghorepani, and Poonhill are the major hubs during the Annapurna Circuit Trek. 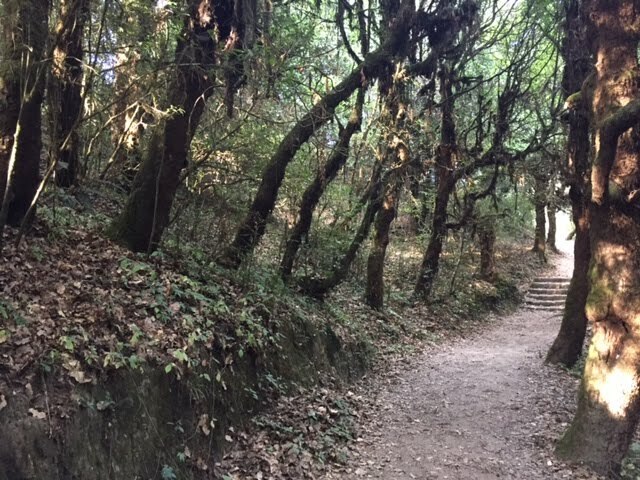 Trekking routes in this region include the Annapurna Sanctuary (or Annapurna Base Camp/ABC) trek, Ghorepani-Poonhill Trek, and Annapurna Circuit or Round Annapurna trek. The Round Annapurna Trekking or Annapurna Circuit Trekking is the most typical and challenging trek because it requires trekkers to ascend to a very high elevation of beyond 5000m and makes numerous ascends and descends between mountains and valleys. This trek provides you an opportunity to travel around the entire Annapurna massifs and to see its magnificence from different angles. 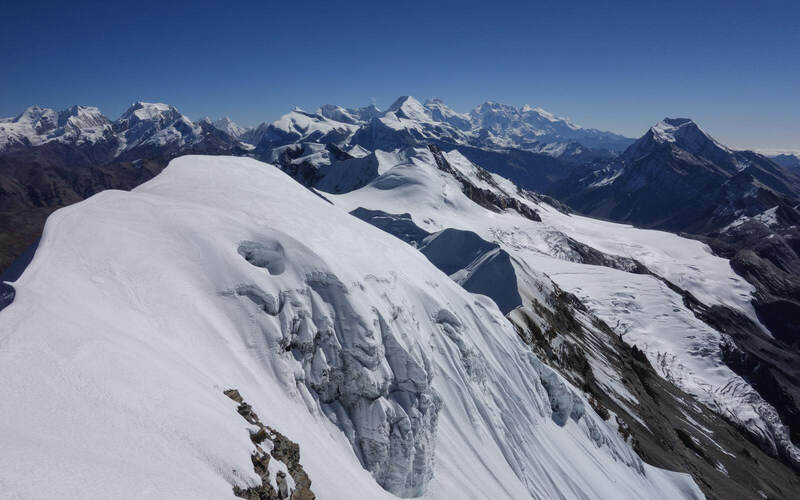 It also requires trekkers to cross the World’s Highest Pass, Thorung La (5416m) and the World’s Deepest Gorge of Kali Gandaki River that showcases Annapurna I (8091m) in the east and Dhaulagiri (8167m) in the west. 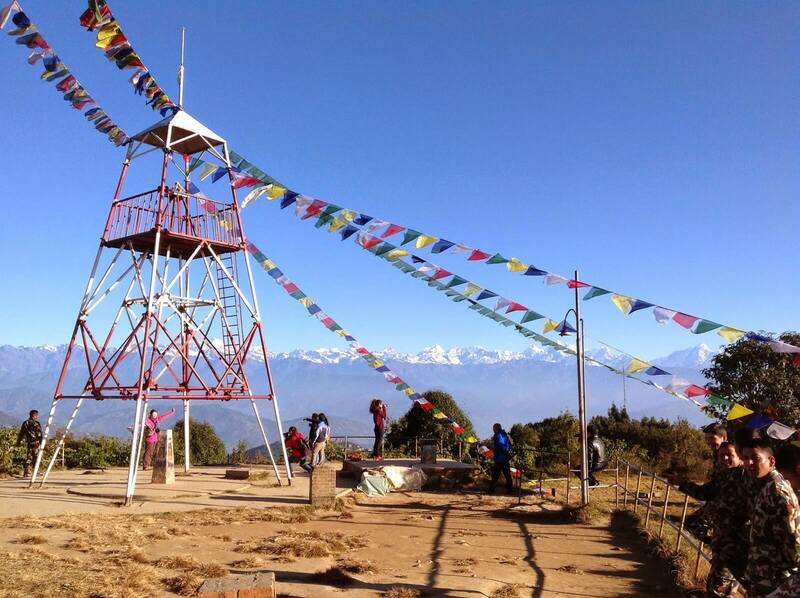 Round Annapurna trek also includes visits to the most popular viewpoint station, Poonhill (3190m) where spectacular sunrise and breathtaking views of the Dhaulagiri and Annapurna ranges can be seen. The most popular trekking route in the region. Famous as a popular trekking destination in the world. Cross the world’s highest pass, Thorung La (5,416m). 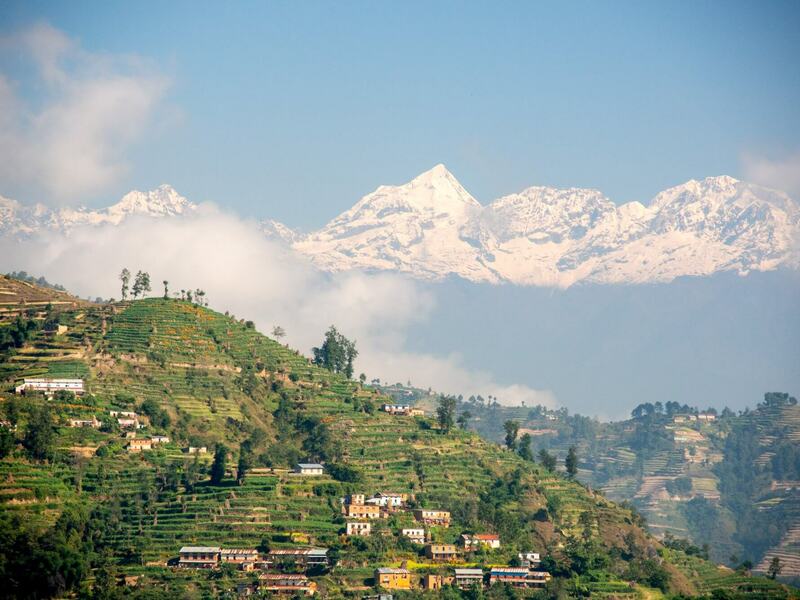 See amazing Annapurna massifs from different angles. Enjoy a breathtaking sunrise view from Poonhill. Explore diverse culture and traditions. Day 01: Arrive at Kathmandu airport and you will be transferred to the hotel by one of our representatives. 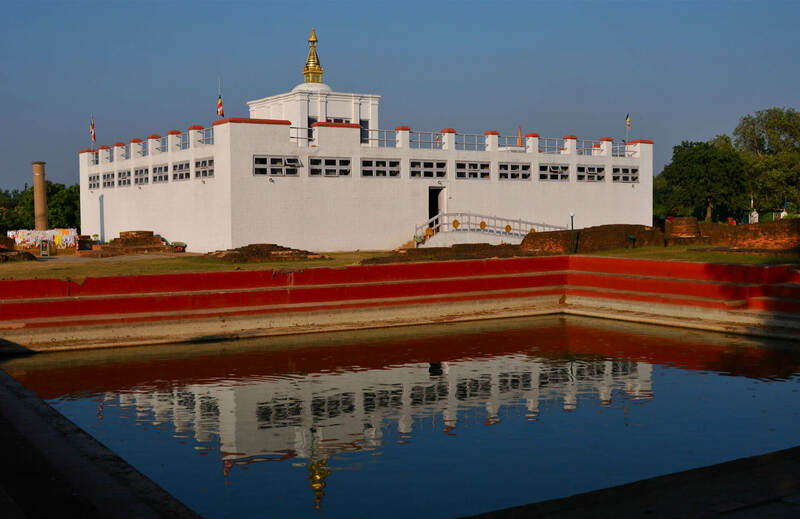 Day 02: Drive Kathmandu to Besisahar (760m) by tourist coach bus. 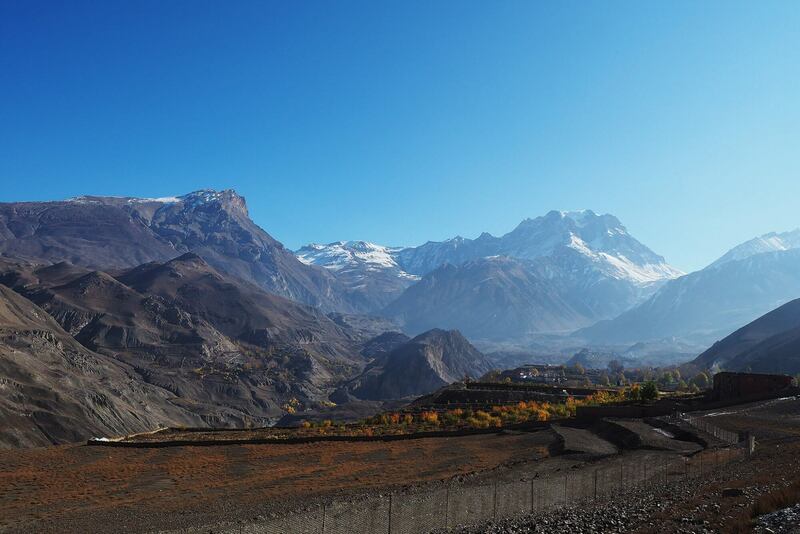 The Annapurna Circuit trek begins with a road journey from Kathmandu to Besisahar which takes approximately six hours. 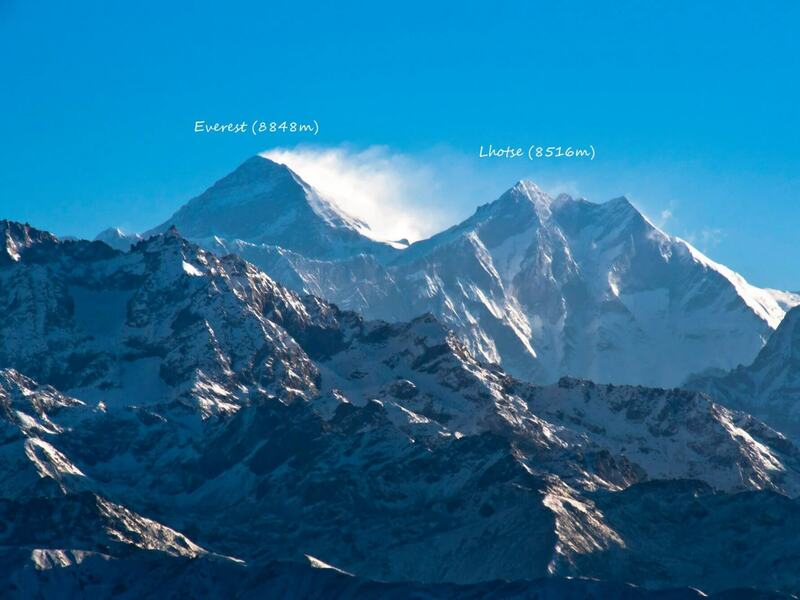 Difference in Elevation: - 574m. Day 03 : Trek Besisahar to Ngadi (920m). 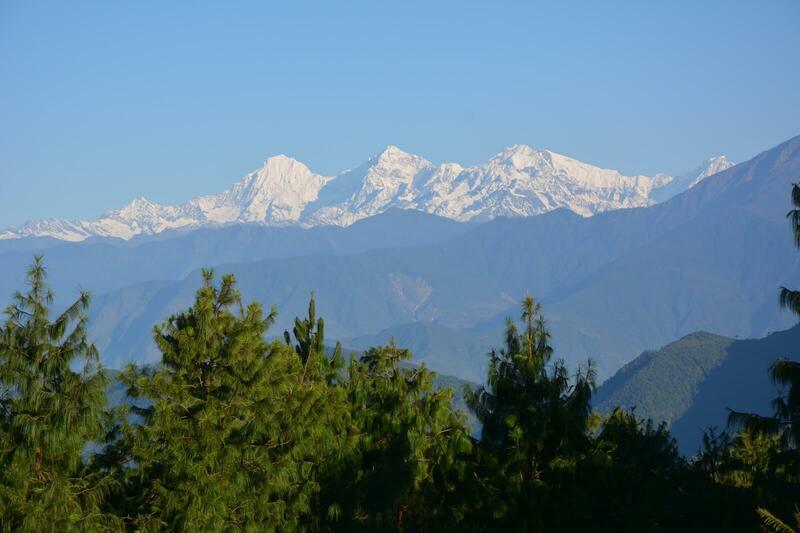 The first day of the trek will commence from Besisahar where we will follow the Marsyangdi Valley, inhabited by Gurung people. After crossing suspension bridges and some narrow tracks we will reach Ngadi in about 5 hours. Day 04: Trek Ngadi to Jagat (1290m). Day 05: Trek Jagat to Dharapani (1860m). Today the trail continues turning to the North West as it follows the Marsyangdi Valley and we will enter Manang District from Taal (1675m). Before reaching Dharapani we will cross a large suspension bridge. Day 06: Trek Dharapani to Chame (2670m). As we continue our trek today, the Annapurna range offers splendid views such as Annapurna II (7937m) and Annapurna IV to the west. 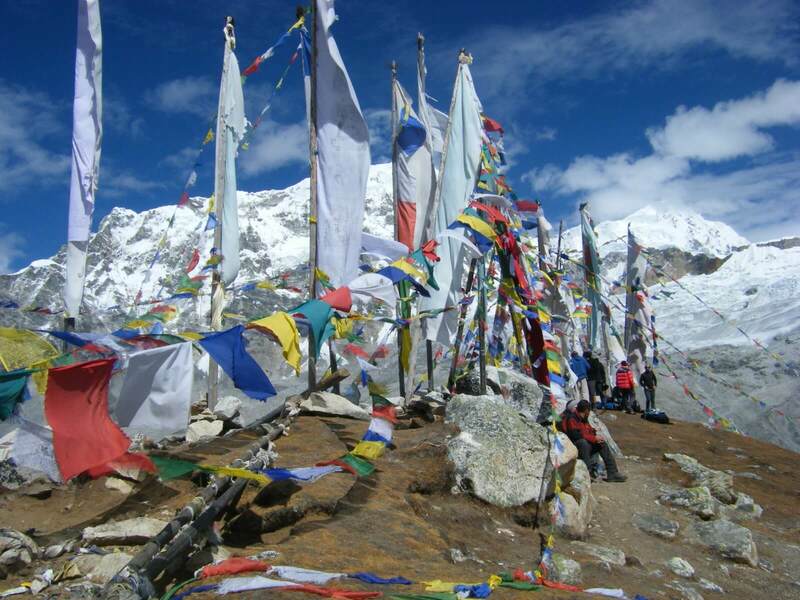 Initially the trail climbs through the forests to Dhanakyu (2290m) and continues steadily to Latta manang (2360m). The track climbs over forest ridges to reach Kotho village (2590m) before reaching Chame (2630m). Chame is the central (Administrative) headquarter of the Manang District. Day 07: Trek Chame to Pisang (3200m). 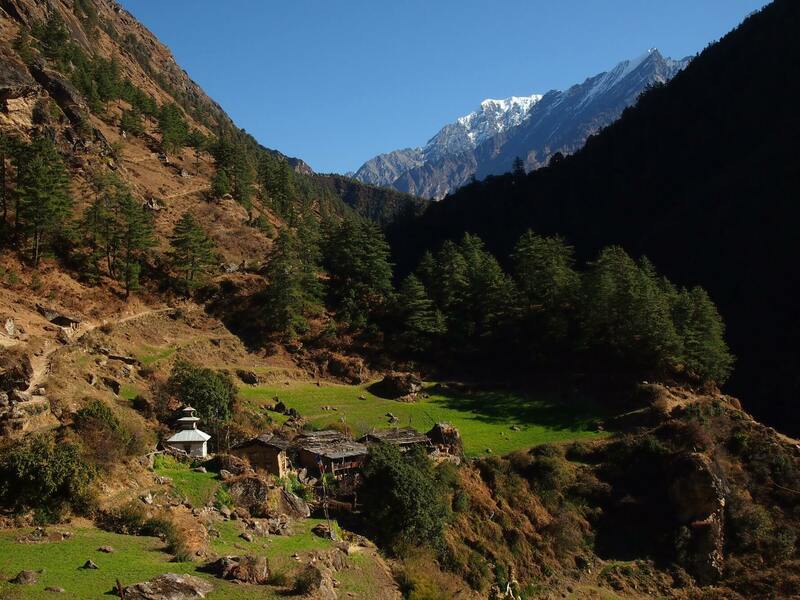 Today's trek is a bit shorter and we will enjoy wonderful scenery as we cross the northern side of the river and trek west on the very easy trail to the Bhratang Village (2840m). From here the valley is steep and narrow and leads through dense forests until we cross one suspension bridge which is situated at 3040m before reaching Pisang (3200m). Pisang is a large village and it has been divided into upper and lower villages. You will be able to view Pisang Peak (6091m) directly in front of you along with unforgettable views of other famous peaks. Day 08: Trek Pisang to Manang (3440m). We will walk about 6 hours to reach today's destination which called Manang (3440m). Manang is very large and important village with numerous lodges and shops, where it is surprisingly well stocked with all the things. The claiming a population around 5500 in Manang Village.We will reach Manang via crossing Hungde Airport and Braga Village and we will cross one chorten which is 500 years old. At the Hungde village you will see a very long Mani wall. Day 09: Acclimatization day at Manang. Today will be your Acclimatization day which will allow you to become adjusted to thinning air and lessening pressure as we continue upwards towards to Thorong-La. It is essential spend the time to acclimatize in this area. 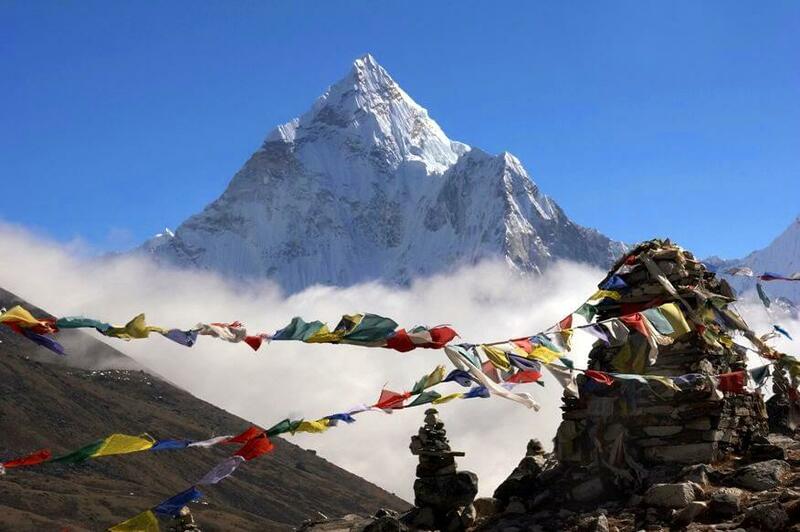 In the afternoon, we can visit the clinic (run by Himalayan Rescue Association (HRA) Centre) to get more information about high altitude trekking. They will give a daily briefing about mountain sickness. 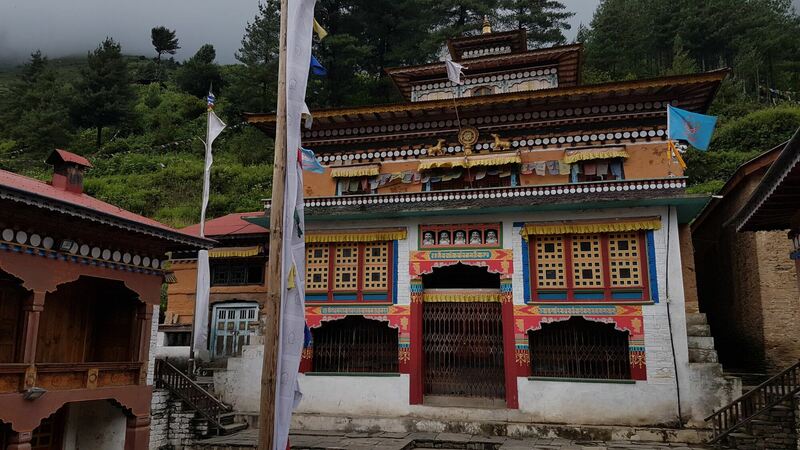 It is also worth visiting Manang Gompa (Monastery) if it is open. Day 10: Trek Manang to Yak Kharka (4018m). 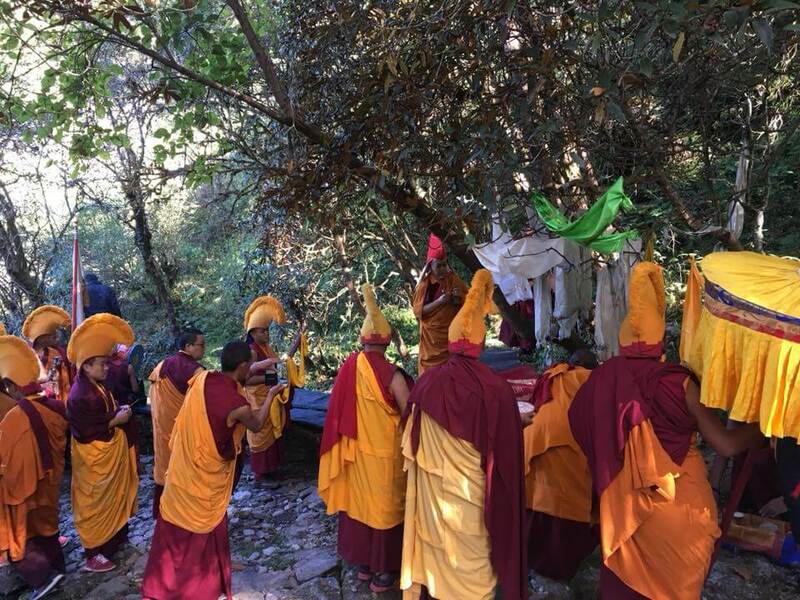 This day the trek will begin slowly up to Tengi (3620m) and continues upwards to Gunsang (3930m) and continues to Yak Kharka with a level grade. 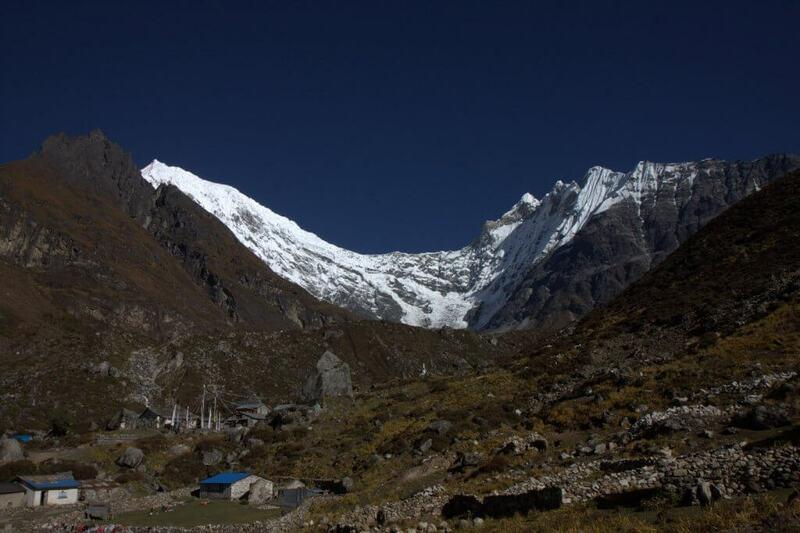 It is also possible to reach Phedi in one day from Manang, however it is essential for acclimatization to stop at Yak Kharka (4018m) for further acclimatization. Day 11: Trek Yak Kharka to Thorong Phedi (4450m). Today is also another short day for the trek, where we will walk about 3 to 4 hours to provide more time for gradual acclimatization. Thorong Phedi (4450m) is our last stop before crossing Thorong-La (Pass). The lodges here are usually very crowded, but there is an air of excitement as trekkers congregate when they arrive at lunch time. Day 12: Trek Thorong Phedi to Muktinath (3760m). Today is the most difficult day of this trek because of the altitude and long hours walking (as we ascend almost 1000m and descend about 1600m). Hence, we will set off about 4 to 5 AM and commence the long climb up to the Thorong-La Pass (5416m). You need to have plenty of water and a warm down jacket with you. 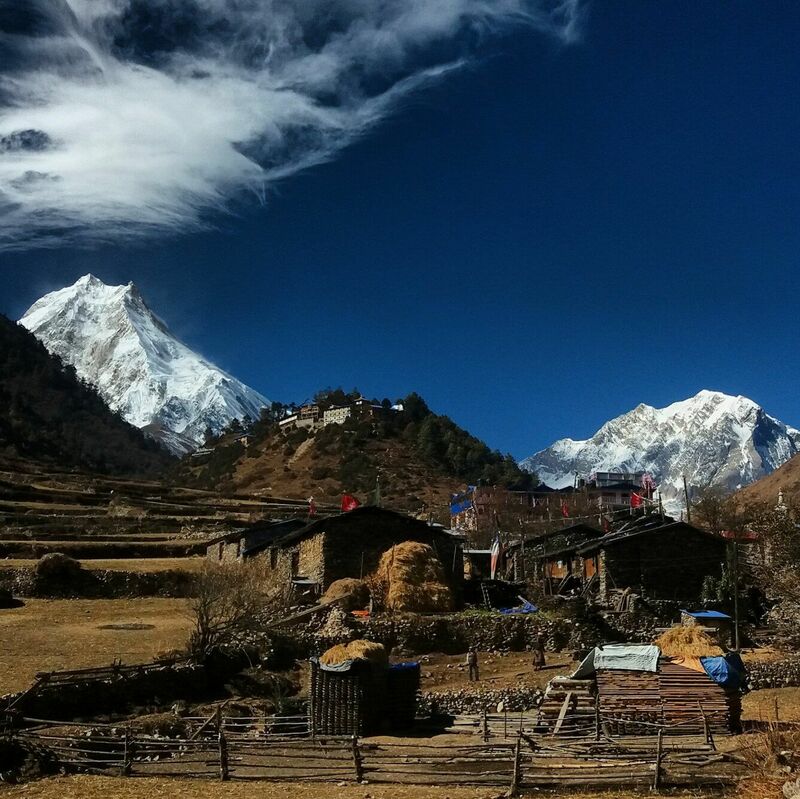 The trek Phedi to Thorong- La takes about 3-5 hours, depending upon fitness and acclimatization. 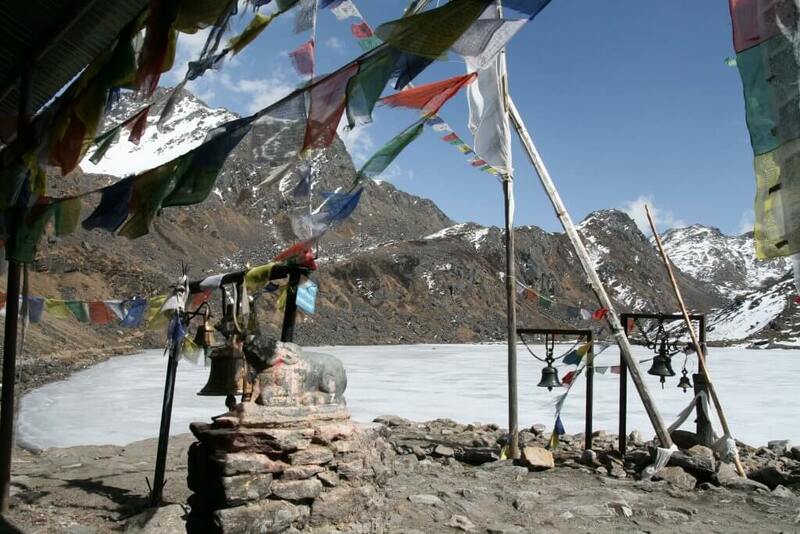 Upon reaching Thorong-La we will see the traditional chorten, cairn and prayer flags. We will take a break here before descending to Muktinath (3760m). The panoramic views from Thorong-La are superb and this may be the highest elevation you'll attain during your traveling life- you will feel on top of the world! When you descend to the Muktinath area you will obtain great views of Dhaulagiri to the south-west and Tukuche (6920m). The descent is long and tiring (about 3 hours) but it is not very difficult. 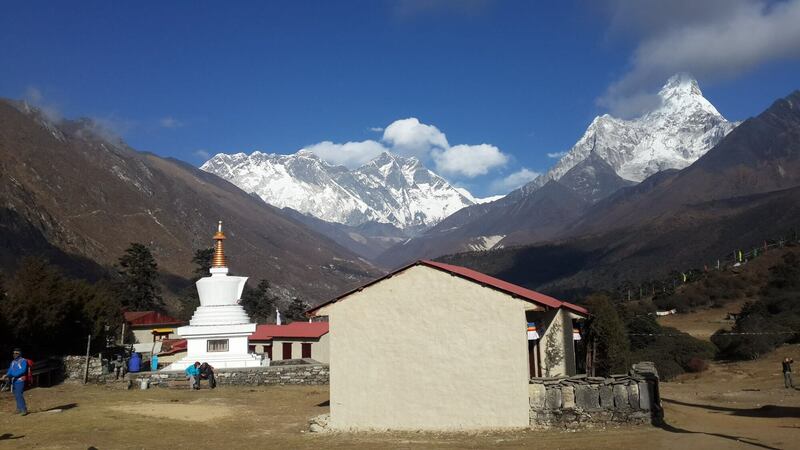 We can easily reach today's destination of Muktinath enjoying great views along the way. Muktinath is a fascinating village and a famous place for Hindu and Buddhist religions. You may see lot of pilgrims bathing in the holy water flowing from the 108 spouts carved in the shape of cow's heads surrounding the Vishnu Temple. The temple is built in Tibetan style and contains huge brass idols of Shiva, Vishnu, Kali and Brahma. Day 13: Trek Muktinath to Jomsom (2750m) via Kagbeni. Before reaching Kagbeni from Muktinath, the trail descends gradually towards to Jharkot, which is very nice village with interesting houses and lot of green fields. The trail continues descending to Kagbeni for about two and half hours. Kagbeni (2800m), located near the Kali Gandaki river, is a very interesting and medieval village with stone houses, narrow alleys, green fields and view of the high mountains. 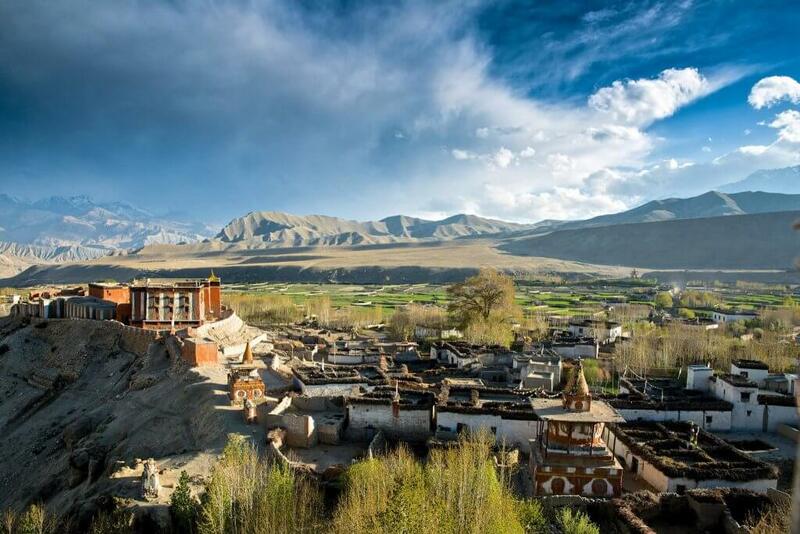 Kagbeni is not very far from legendary areas of Mustang and Lo Monthang. NOTE: Mustang is a controlled trekking region so a separate permit is required to travel in Mustang. Therefore we recommended that you not to walk north of this village because this is border of the Mustang. From here we follow the river down to Ekle Bhatti (2730m), where we join the alternative and more direct route from Muktinath. From here it is an easy walk to Jomsom, the administrative headquarters of the region, at 2750m. This is our trekking ending point and we celebrate our last day with singing and dancing. 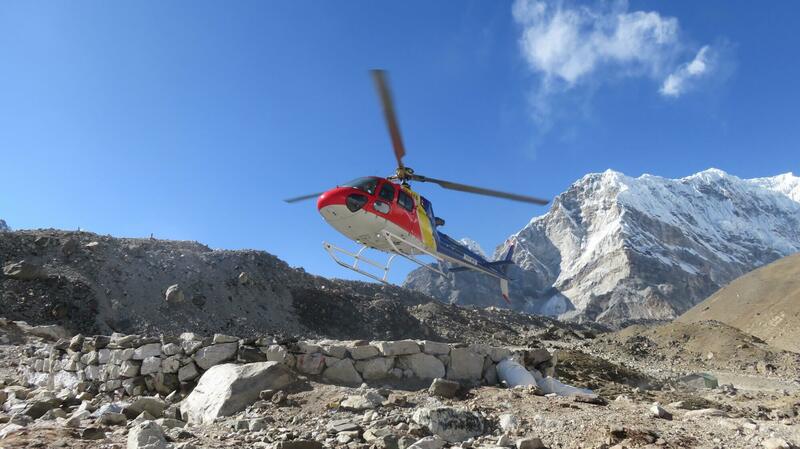 With our trek successfully completed, today our flight takes us from Jomsom to Pokahara (20 minutes). You will have scenic flight in the morning for about 30 minutes and during your flight you will enjoy the panoramic views of the Himalayas again and be able to take some spectacular pictures which will be unforgettable. You will have free time in Kathmandu in the afternoon. Day 16: Transfer to the airport and departure. Hotel in Kathmandu and Pokhara on twin sharing BB basis. 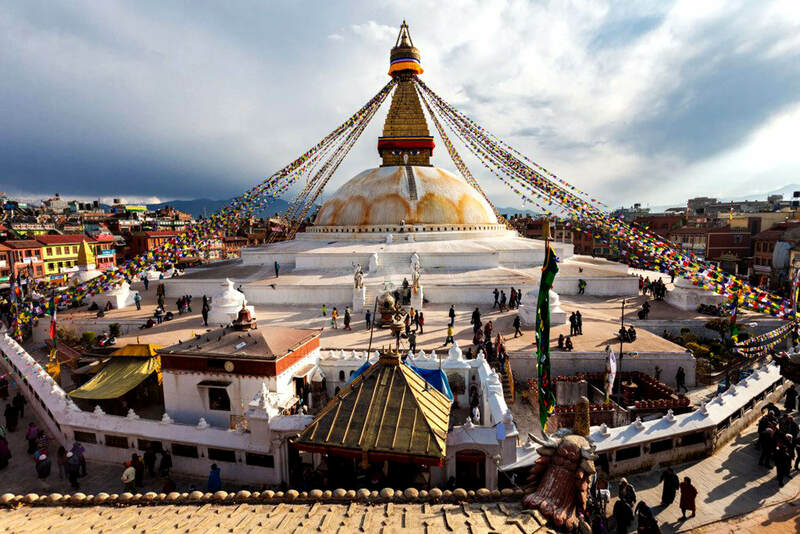 Transport, guided visits & entry of the monuments in Kathmandu. Trekking permit/TIMS, and conservation entry fee. A professional tour/trekking guide, porter, assistant guide Meals full board during the trek. Accommodation in Lodge during the trek. All necessary documents and government tax. Insurance for all staff (including guide, porters, assistant guide). International airport taxes in Kathmandu approximately USD 20. Nepal entry visa fee USD 40 - (Total 30 days from the date of issue) and you may easily obtain. your visa upon your arrival at Kathmandu international airport. NOTE: You need 2 passport size photographs for the visa. Emergency evacuation rescue charge, if needed. Alternative transportation, in case of flood, landslide, heavy rain, strike, road blockade etc. Tips for trekking staff or bus driver.